Please will you give a child like Emaculate the Gift of Sight? Did you know? If you give €250 or more to CBM in a calendar year, your donation could be worth 45% more. Through the Revenue Commissioners Tax Efficient Giving Scheme, we could claim at least €112 if you fill out a tax relief form. All Emaculate had to do was shut her eyes and she’d cry out in pain. When her father looked closely at her eye, he could see a white spot. She was in real danger of going blind. At only three years of age. If you are able to read this, if you can walk outside and take in the beauty of the world around you, then you know what a blessing, and a gift, your sight truly is. Being able to see, means being able to go to school, to learn, to grow up and be able to build a good life. This is what your Gift of Sight will do for a child like Emaculate. People like Emaculate and her family, who live in the village of Bondo, in Kenya simply cannot afford basic healthcare. They can often not even afford the transport to get to a health clinic. Her parents built their house themselves, out of mud, stick and rock. And her father, James, does his best to make sure there is always food on the table. Nothing is more important to him than the health of the family. So he was frightened the day Emaculate came crying to him and he saw the white spot in her eyes. At first, she was still able to see things in front of her, and could get around like the other toddlers in her village. But then her eye started to turn outward. Her parents knew she was in trouble. James brought her to a local health worker, who placed drops in her left eye and saw at once that she’d need surgery. He thankfully knew about CBM’s partner hospital, Sabatia Eye Clinic – a one hour drive from the village. But reaching the hospital would cost 450 shillings. James couldn’t afford to make the trip and feed his family, even though it would mean having to watch his youngest child go blind. There are few things more wrong than a parent having to choose between bringing their child to hospital, and feeding their family. Please will you click here and send your Gift of Sight today – so that the next mother or father won’t have to make this terrible choice? You see, if we don't reach a child in time, they could lose their sight forever. As a child's brain develops, it "learns" to see. 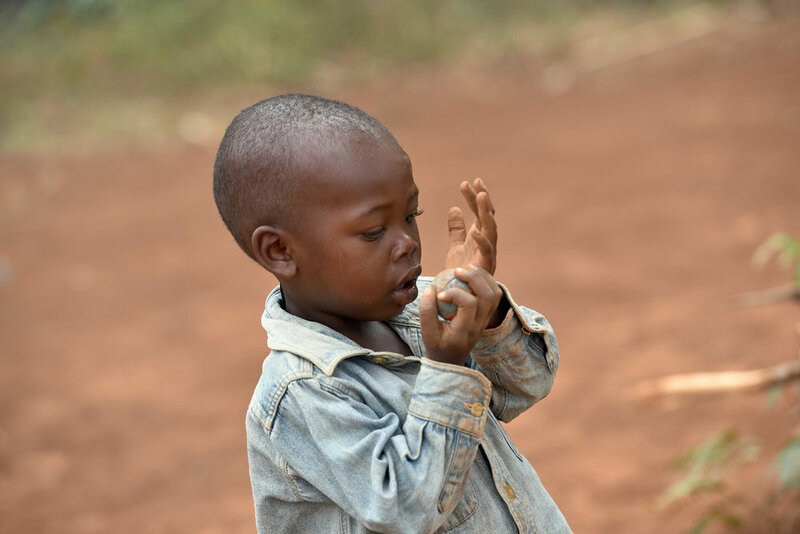 But when a child is born with cataracts, their vision is clouded from day one, and their brain misses out on that window when it learns to see. The quicker we perform the surgery, the better their sight will recover. Please will you give the Gift of Sight, the surgery that a child needs, and save their sight?